Starting at Lawrence, Jensen never questioned whether or not she wanted to continue horn, for she dreams to perform professionally and hopes to teach at the collegiate level someday. 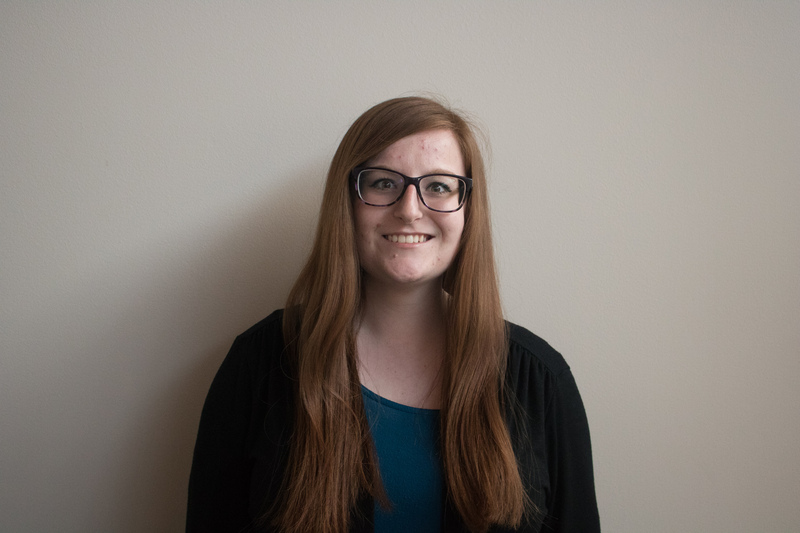 She has participated in both Orchestra and Wind Ensemble since her freshman year and is a member of Lawrence’s chapter of SAI (Sigma Alpha Iota), a women’s international music fraternity. Apart from private lessons in Milwaukee with her instructor, Kelly Hofman, and lessons on campus with Associate Professor of Music Nick Keelan, Jensen is part of a brass quintet. She states that this is a huge part of her support network and it is one of the most special parts of her time in the Conservatory. The brass quintet has been in existence at Lawrence for about seven years, an ensemble that Jensen says “has been passed down to different people and generations as people graduate and come into Lawrence.” For Jensen, the brass quintet has been loving and supportive throughout her journey at Lawrence. She especially appreciated the inspiration of Laura Van Asten, a dear friend and student at Lawrence who passed away last summer. This past weekend on Saturday, April 7, Jensen performed her senior recital. In loving memory of Van Asten, alumnus Isaac Mayhew ’17 composed a duet for horn and bass trombone entitled Music for Laura which Jensen performed alongside junior Liam McDonald. A few traditional concertos were also performed, including Richard Strauss’ “Horn Concerto No. 1 in E-flat Major, op. 11” and Reinhold Glière’s “Concerto in B-flat Major for Horn and Piano, op. 91” with accompaniment on piano, which Jensen has been working on for years.